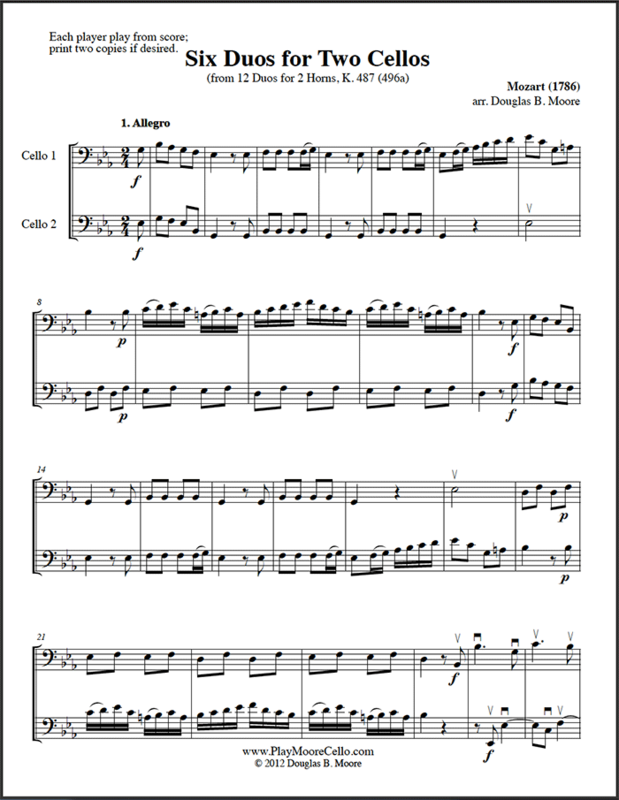 Charming, easy duos, arranged from 12 Duos for 2 Horns, K. 487 (496a) of 1786. Nothing above 4th position, both parts equal. No individual parts; both players play from score. Special price available by purchasing both volumes.